Singapore's national water agency, PUB, recently announced its selection of CH2M as the consultant for the development of its fifth desalination plant on Jurong Island under a design-build-own-operate arrangement. With a capacity to produce 30 million imperial gallons of water per day, the plant provides a long-term solution to Singapore's water needs, which is expected to double from today's 430 million imperial gallons a day by 2060. 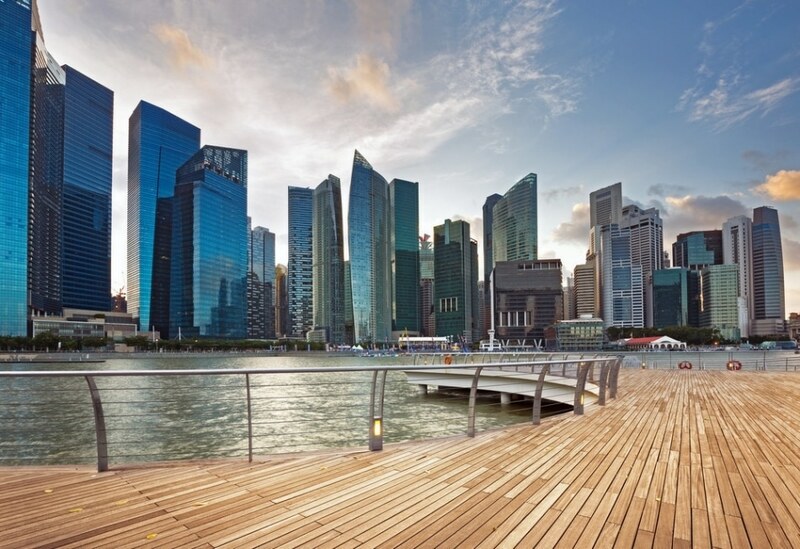 By then, Singapore expects to meet up to 85 percent of its water needs through desalination and NEWater, the country's high-grade reclaimed water. "CH2M has worked with PUB for more than two decades on game changing projects to transform the country's water resources," said CH2M Global Water Business Group President Peter Nicol. "We are proud to support PUB on its latest project on Jurong Island, helping secure the country's precious water resources for years to come." This recent selection of CH2M to build its new desalination plant reflects the strong partnership of this team. CH2M has been partnering with PUB in delivering major-cross sector infrastructure projects in water and industrial facilities for 25 years. Recently, Singapore's national society of engineers—the Institution of Engineers, Singapore (IES)—recognized the top 50 engineering achievements to have positively impacted Singapore since its independence in 1965, in terms of economic, infrastructural or societal contributions. CH2M is pleased to share that two of the major water projects the firm worked on with PUB made the list, including the award-winning Phase 1 Deep Tunnel Sewerage System (DTSS), which CH2M served as the designer and program manager; and the Active, Beautiful, Clean Waters (ABC Waters) project at Kallang River at Bishan-Ang Mo Kio Park, which saw the transformation of a concrete, utilitarian canal into a lush, meandering waterway that is integrated seamlessly into the park, creating new community spaces for social interaction. Comprising 34 public sector projects and 16 private sector projects, the top 50 winners represented various industry sectors, including aerospace, defence and security, and information communications. IES shortlisted 113 projects for public voting, and the 50 projects with the highest number of votes made the Top 50 Engineering Feats list and were celebrated at the IES Golden Jubilee Dinner graced by Prime Minister Lee Hsien Loong on July 1, 2016.